Welcome to the BlogPaws press room. Here you will find categorized press releases, details of media coverage, links to our team members, media contact information and more. 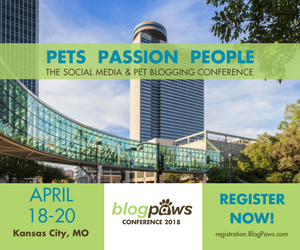 BlogPaws team members are available to comment on influencer marketing, pet blogging, pet industry, pets as family members, and any other pet-related story angle. Posted on Wednesday, December 17th, 2014 at 7:37 pm. Posted on Tuesday, November 25th, 2014 at 7:39 pm. Posted on Friday, November 14th, 2014 at 7:43 pm. Posted on Friday, October 17th, 2014 at 7:44 pm. Posted on Sunday, June 29th, 2014 at 6:01 pm. Posted on Wednesday, June 18th, 2014 at 5:48 pm.